So from two 2D planes i created a new shape by connecting verticies and deleting edges. Now i’m left with a shape without verticies (so my UV-map i had on the planes is gone, obviously). I’ve googled it said “Hold CTRL key and click the left button of your mouse” this did not work though (to add a verticie), but there’s so much outdated info out there (i’m on 2.79b). It’s ctrl-right mouse after selecting a vert in edit mode, in the latest 2.8. You could just create a plane, select the face, hit x and delete only faces to achieve that example shape. Thanks Dan! No verts to select if i don’t have any though? more common is using extrusion on edges, and by creating faces manually by selecting 3 or 4 verts and hitting f to make a face from them. I see, i’ll try that. 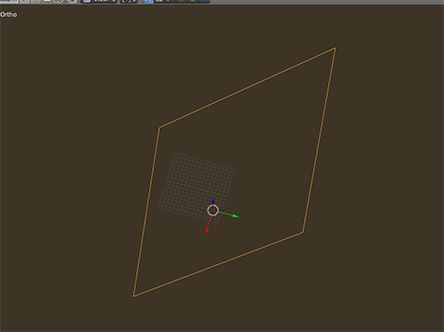 But isn’t there a way to put in a vert on a mesh, other than e.g using the knife to cut from one part to the other? you can duplicate a vert by selecting one vert and hitting shift d enter. or shift d x, moving along x axis and hitting enter. You now have a rogue vert floating in space. if you select two verts and hit f you create an edge. select 3 or 4 and you create a face. usually you select a bunch of edges and hit e to extrude. what exactly are you trying to make? sure, you can switch on snap during transform (the little magnet), and set it to face.